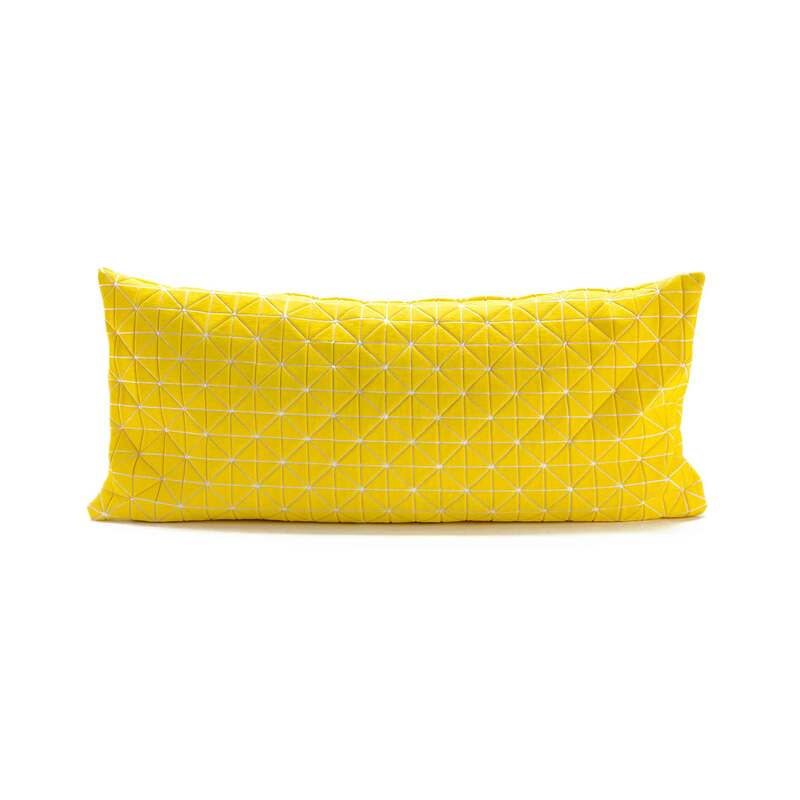 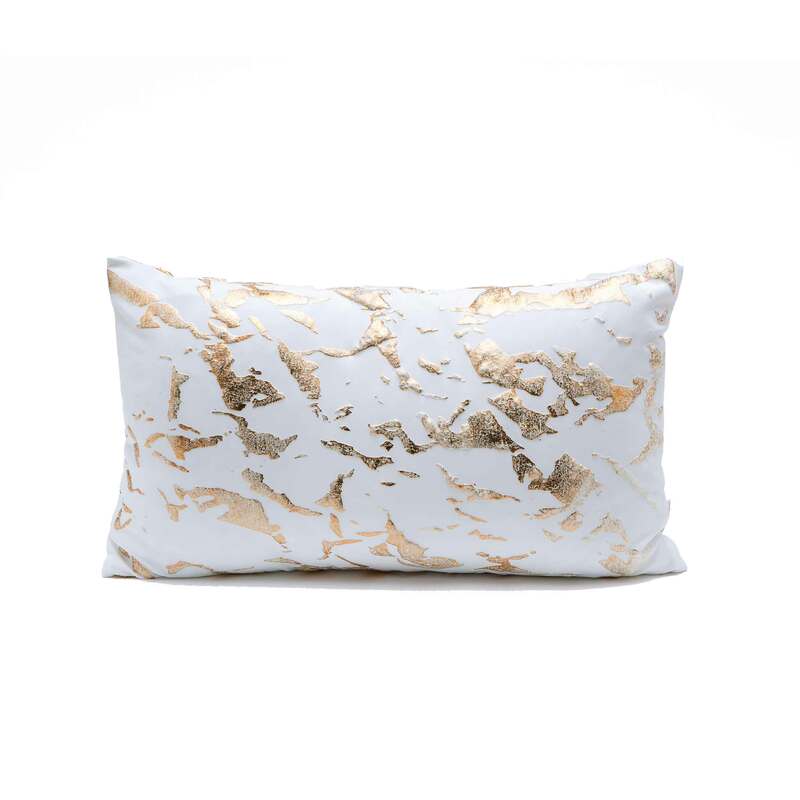 A unique pillow cover with a textured, shimmery nature inspired pattern that goes beyond standard. 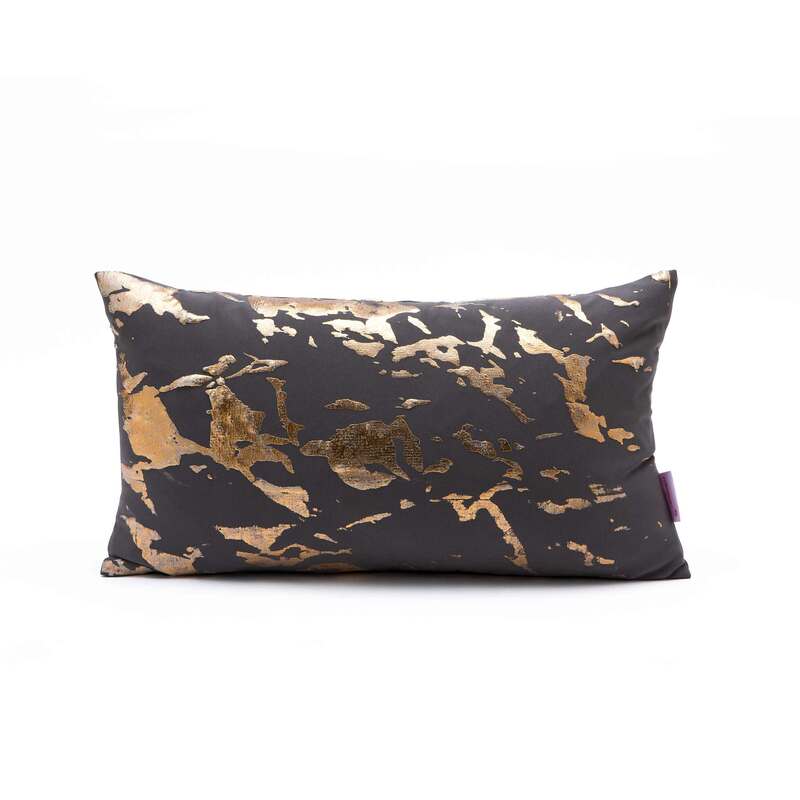 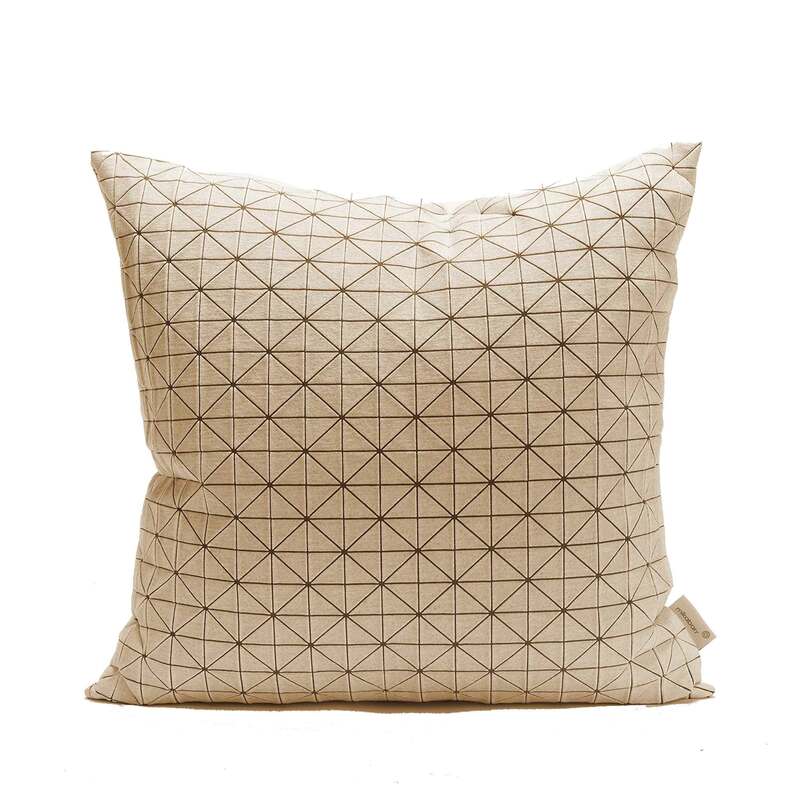 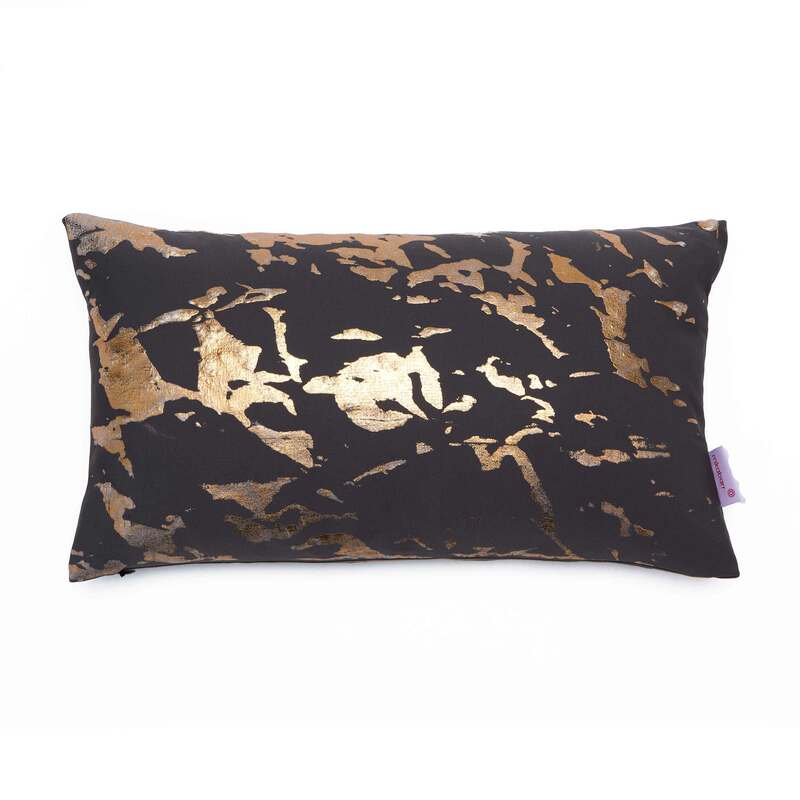 This copper and grey pillow cover is made of special polymer printed on a soft, mixed fabric, with foil finish. 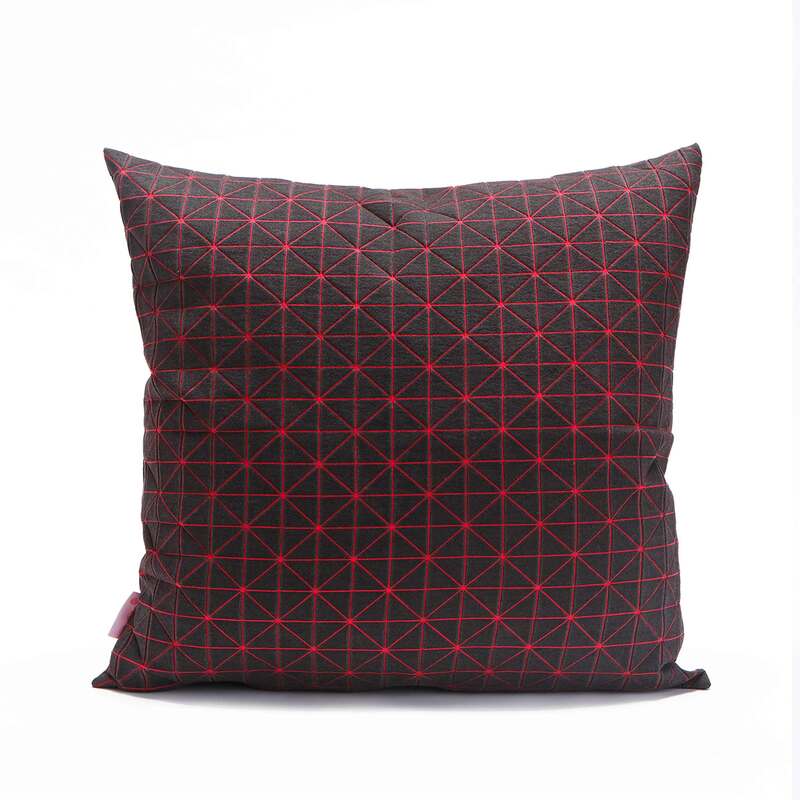 Removable cover with an invisible zipper enclosure on the bottom. 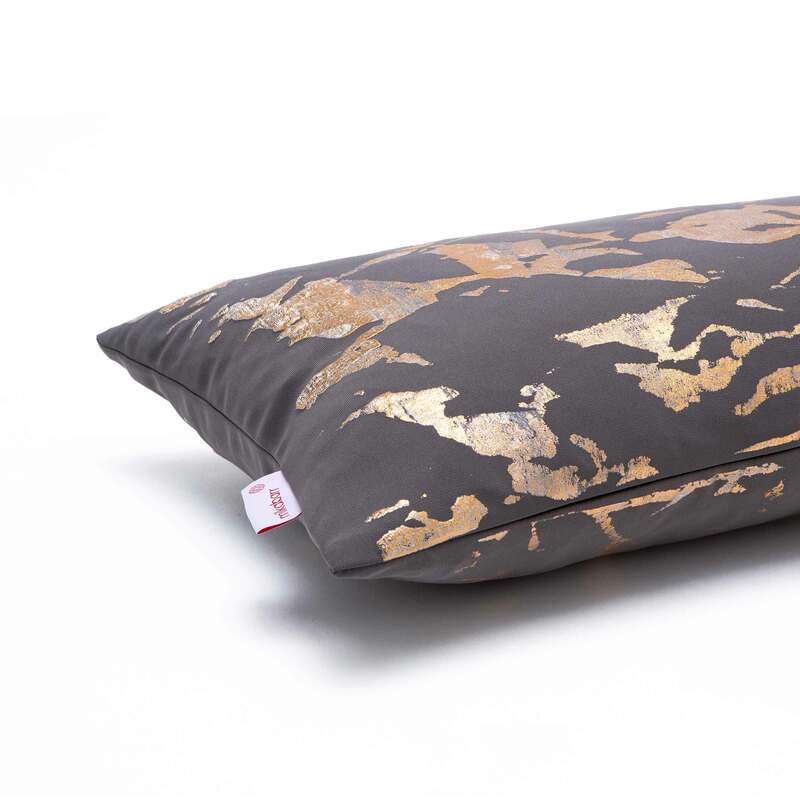 Seams are serged for durability and to prevent fraying.